This year the North American MPS Conference is going to be huge - attendance up, interest in MPS common, the niche now firmly established as an industry. 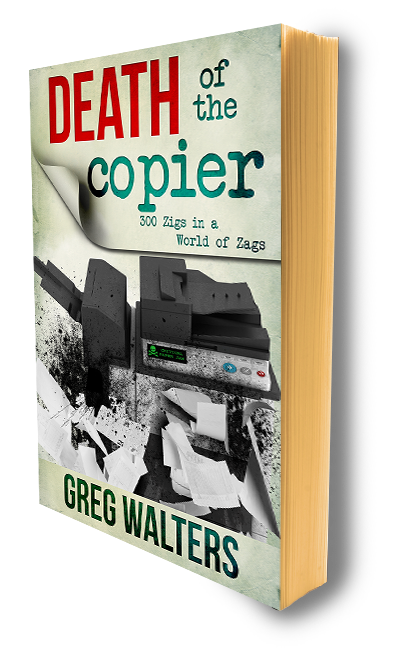 Maybe you don't want to be the last person on your block selling copiers. No doubt to the surviving collection of people who don't care about value, costs or spending our money: Public Sector. Do you think this "Hot New MPS Thing" will finally catch on next year? Perhaps you're such a output-geek, friends and family are starting to put you in the same class as "Trekies"(for the record, its "Trekor"). Fewer people stick around once you get going on "scan once, print many". And maybe approaching a three-some like the one above, intimidates you. Ok, that has little to do with MPS; more to do with DOTC_AfterDark. If you're into Managed Print Services, see a future beyond Stage 4, and reside out here with me 'to the right of the bell curve', this is our time. Come. Why should you attend the 2011 Global MPS Conference? Education first. Beyond a trade show, this event focuses on practical education and insights. Expert speakers. Inspire and challenge your thinking. Connect with the MPSA. The meeting point for the Managed Print Services Association. Independent industry platform. An open forum to share ideas and network. More excitement. Much more fun. - Attend two cocktail receptions and the MPSA Awards Ceremony where you will network with MPS bigwigs and celebrities in Orlando, FL – need we say more? Want a ten percent discount? Go here, register and use promo code "DOTC". See you there. MPS Conference Reviews from Misty Hamel on Vimeo.